This week, what with the awful weather (up until today - typical) in London I have decided to take action and dress myself into happiness. So yesterday, as I was office bound until the evening and then off to a Topshop event (thank you Emerald Street) it was a tricky day to dress for... Until I remembered my favourite pair of leopard print heels (a spontaneous gift from my boyfriend a year or so ago). Love this trend! Great inspiration here. obsessed with the tapered heel in the first picture! Love your post! 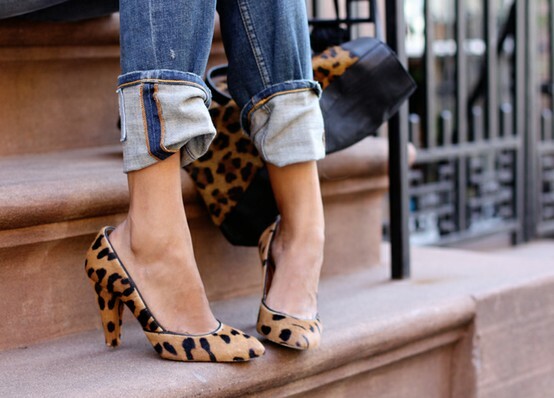 I have a pair of leopard print heels from Nine West, which I bought years ago. I don't care if they're in or out of style, leopard print is timeless to me! Definitely need to get me some! I recently bought pair of French Sole's leopard print ballet flats, and am in love with them! They add more 'spice' to my wardrobe than anything else I've bought in a long time! I really like all the images you've featured in this post, they're so inspiring. I'm not a huge fan of animal print (snake print seem fine, but leopard I think I am scared of!) but of all the pairs here I did like the Dorothy Perkins style, I have several of their shoes in my wardrobe and I find they really last. 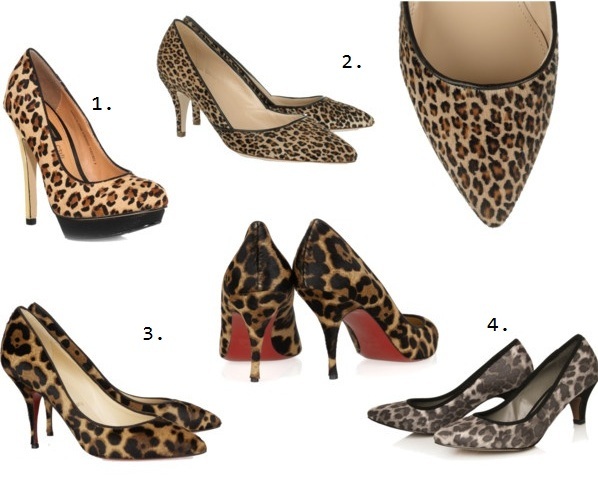 I need to get me a pair of leopard prints heels too! !